Success can be measured in many ways, but no matter how you measure it, this has been a very successful year for Kilbeggan Races so far, with international diplomats visiting, top trainers winning races, two well supported best dressed ladies competitions, a big increase in the attendance, great racing, and some fine weather. As Manager Paddy Dunican stated “this has been a great year for Kilbeggan, with a significant growth in attendance”. 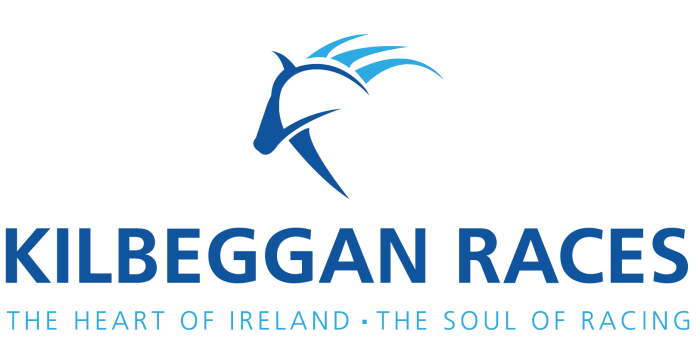 Kilbeggan can continue this positive pattern next Friday 25th August, with another great meeting starting at 4.45PM including three sponsored races. In 1949 Mr George Garrett, United States Ambassador to Ireland, attended the races to see his horse Comic Dancer win at Kilbeggan. Many other famous people have attended Kilbeggan since then, but the last meeting brought a truly international attendance. In June, Mr Istvan S.Palffy, Hungarian Ambassador, attended the races with his wife but at the last meeting a reception for the sponsors was attended by four diplomats with representation from the United Arab Emirates (UAE), Egypt, Morocco and the USA. Last year Dr Saeed Mohammed Al Shamsi, UAE attended the races and this year he returned with his wife Ayesha and family in addition to Ms Soha Gendi, Arab Republic of Egypt, and Mr Lahcen Mahraoui from the Kingdom of Morocco. In addition, special guests included Charge d’Affaires (Acting Ambassador) Reece Smyth and Kevin Hartke, Deputy Mayor of Chandler, Arizona (sister city of Tullamore) also attended. Dr Al Shamsi summed it up when he said he was made to feel at home last year and this year he gave an endorsement to Kilbeggan Races when he said “You are such beautiful people and have such beautiful horses”. On the day Dr Shamsi sponsored prizes for the Best Turned Out Groom in each race. The other “beautiful” people at the races were in the Best Dressed Lady Competition sponsored by West Coast Cooler. Athlone teacher Nessa McLoughlin was crowned West Coast Cooler Best Dressed Lady and the other finalists were Aine Malone, Kamila Trebtelean, Derbhla Walsh, Bronagh Nunan, Nessa McLoughlin, Emma Hussey, Helen Whelan, Danielle Boyd, Meryl Deegan, and Rebecca McCabe. The judges were Penney & Polaroid’s Blogger Nuala Gorman and Roscrea based Milliner Alison Roe. Nessa won a variety of prizes from West Coast Cooler including a two day stay in the Five Star Merchant Hotel, Belfast, a €1,500 prize for Victoria Square Shopping, Belfast, plus VIP tickets for the West Coast Cooler Fashion Week. This year a number of Kilbeggan regular horses did very well at Galway Races. Willie Mullin’s three time Kilbeggan winner Airlie Beach was a very close third to Tigris River and Swamp Fox in the Galway Hurdle. The first three home in the Galway Blazers Chase ran in Kilbeggan this year –the winner J.P.McManus’s Riviera Sun (won in Kilbeggan), the second Phil’s Magic won the Midland’s National and the 3rd Net D‘Ecosse was 3rd in the Midland’s National plus other good horses like Tesseract, Robin Des Foret, Tulsa Jack and Lucky Pat. A Rated 7/1, who was well fancied at Galway won the novice chase at the last meeting for trainer Liam Kenny. The best horse at the meeting was Willie Mullins Mystic Theatre 1/3, who was a Cheltenham entry last March & has now two hurdle races at Kilbeggan. This horse could go on to win in graded company in the future. Gordon Elliott won two races last April in Kilbeggan but hadn’t won since then until Anytime Now 4/7 won the bumper by 27 lengths. Two of the three sponsored races at this meeting are sponsored by locals, with Pat McCormack sponsoring the Hurley Family Maiden Hurdle and the remarkable Tom Lynam, Treasurer of the Race Committee, sponsoring the Coola Handicap Chase over 3 miles and one furlong. The Irish Stallion Farms EBF Handicap Hurdle is sponsored by the European Breeder’s Fund. The excitement will continue with the last sunny summer meeting of the year, which will give an opportunity to those, who missed out on the great atmosphere of the last two meetings, to make up for their loss by meeting up with friends, family, work colleagues, and even that interesting stranger in the Pavillion! It can be a life-changing experience to be at Kilbeggan Races, so make sure you arrive early as the first race is at 4.45PM.